Little Jockeys. They are SO tiny. Oh the anticipation! The race always makes me anxious and I have never placed a dollar on a horse. I have nothing to lose, but I just get so darn nervous. I can’t explain it. Imagine if I had money on say ‘ I’ll Have Another’ or ‘Bodemeister’. Hell, I got nervous watching Secretariat and I knew the outcome! I have an issue. Crazy Horse Names. I looked it up…there are rules. Kentucky and their rolling horse pastures full of Kentucky bluegrass and endless white fences. It is horse country. I want to live there. I think I would probably muck out horse stalls to be around horses every day. I am my mother’s daughter. Kentucky Bourbon. Mint Julep is the drink of the derby. No margaritas on Saturday (it is Cinco de Mayo), not in my house. Mint Juleps all the way. Big hats and bourbon. Can’t go wrong. Do the Preakness and the Belmont have drinks? 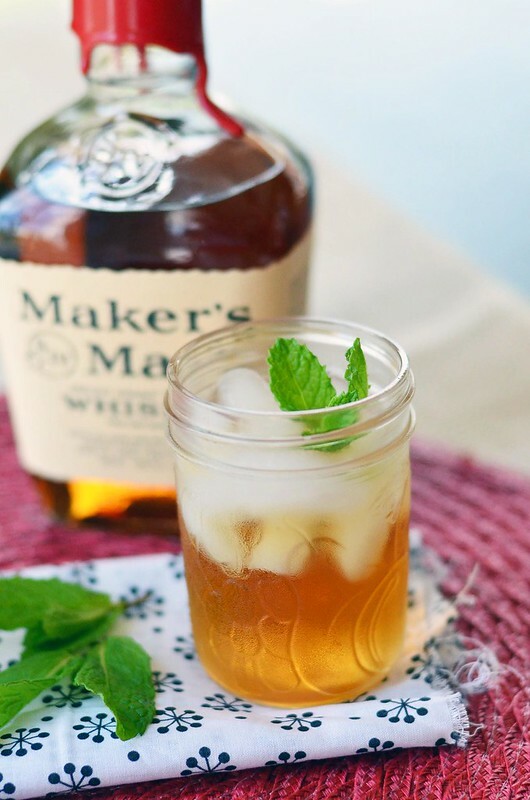 Mint Juleps…simple to mix up – Don’t you love how simple cocktails are re-emerging. I do. Mint, sugar, and of course bourbon. Simple. 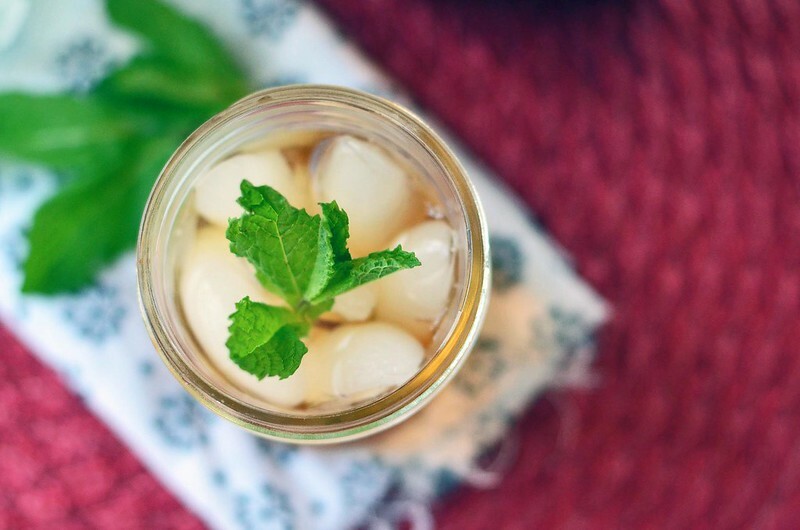 I went the route of making a mint simple syrup instead of muddling the ingredients together. To each their own. The end result is similar. And if you have extra mint syrup left over….great with ice tea or keeps in the fridge for future cocktails. I am not sure how closely this resembles a true mint julep…maybe one year I can make my way to Church Hill Downs and do a bit of taste testing! And betting. And nail-biting. And hat wearing! Drinker beware….you better enjoy bourbon. And horses. Combine sugar, water and mint leaves in a medium pot and place over medium high heat. Bring to a boil and stir mixture until sugar dissolves. Remove from heat and let cool for about one hour. Strain to remove mint leaves. Place in jar with a tight-fitting lid and place in fridge until ready to use. I like this version, but it is sweet. If you don’t have a sweet tooth, simply cut down on the amount syrup added. Done. If you aren’t into making the simple syrup … that is cool. Check out this blog, she makes her Mint Julep a little bit different, but equally good. Trust me!